We've already looked at what Canadians are up to in their free time, so now we're going to go a little bit further and examine the country's reading habits. Every winter, BookNet runs a survey to see how Canadians are spending their free time. We asked 750 people from across the country a few general questions about their favourite leisure activities, but the primary focus was on respondents' book-reading and book-listening habits. Of the 81% of respondents who said that they had read a book in the last year, we asked questions about library usage, book discoverability, favourite formats, and more! Out of all Canadian book readers surveyed, 50% of them told us that they had also checked out a book (in any format: ebook, print, audio) from the library. This number is slightly higher than it was last year (46%). 27.4% of readers say they participate in a book club/reading group. What formats do readers prefer? Of the readers that we surveyed, 92% of them had read a print book in the last year, up 2% from 2017. 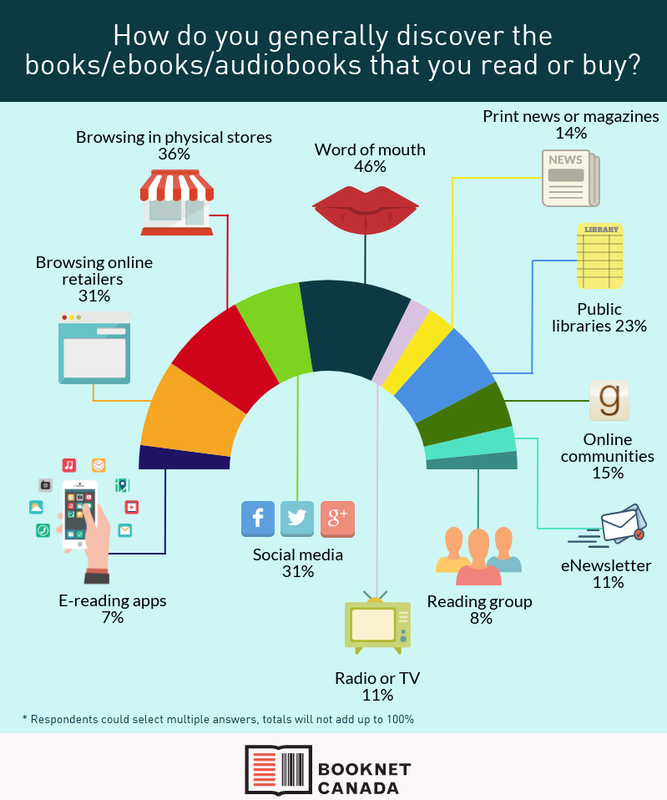 Also up 2% from last year is audiobook usage, with 28% of respondents reporting that they had listened to an audiobook in the past year. Ebook use increased as well, edging up 4% to 52%. What devices are Canadians using for digital reading? Smartphone use for ereading continues to grow in popularity, with 23% electing to read on their phone. This number has grown by nearly 10% in just two years. When it comes to digital reading, 35% of Canadians who read digitally prefer to read on a tablet, which is 3% less than the year before. The use of specific ereading devices is up to 25%, an increase of 2% since 2017. Computers, on the other hand, are losing popularity, dropping by 4% to include only 16% of readers who prefer to use their computers for reading digitally. Smartphone use for ereading is continuing to grow in popularity, with 23% electing to read on their phone. This number has grown by nearly 10% in just two years. This is likely due to the ever-growing collection of ereading apps available to respondents. Some of the most popular choices include the Amazon Kindle app, the Kobo app, Google Books, Apple's iBooks, and Adobe Reader/Digital Editions. How do you generally discover the books/ebooks/audiobooks that you read/buy? 72% read book reviews either online or in print. Most readers discover books through word of mouth (46%) — a tried and true method for marketing. 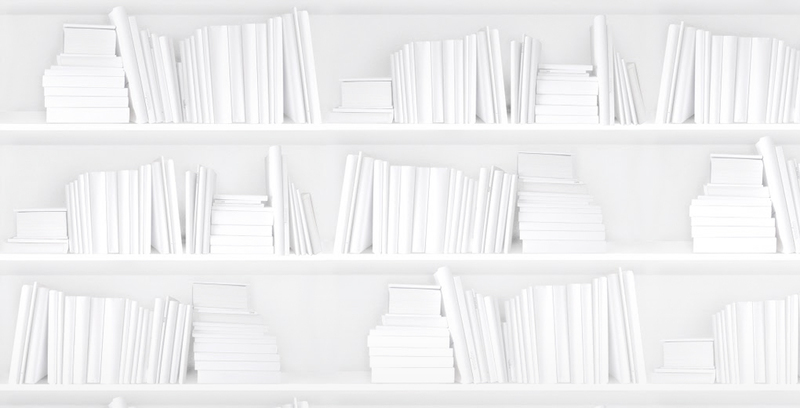 Simply browsing is another highly effective method for book discovery. 36% of readers find new titles while browsing in physical bookstores, while 31% of readers prefer to browse online. Social media book discovery comes in at 31% and discovering books in the public library comes in at 23%. The rest of the discovery channels are broken down as follows: online communities such as Goodreads, 15%; print news or magazines, 14%; email newsletters, 11%; radio or television, 11%; book clubs and reading groups, 8%; e-reading apps, 7%; and "None of the above" came in at 9%. A whopping 87% of surveyed readers participate in social media, with half of them visiting book-oriented corners of the internet. The majority of readers discuss books they've read in person, but only 40% of people socially discuss books they've read online. So while 36% of readers discover new books while browsing in a physical bookstore, 11% of respondents have rarely/never set foot inside a physical bookstore, and almost 1% reported visiting physical bookstores daily (although whether or not that 1% also works in a bookstore was not reported). Older PostWhat are Canadians up to in their free time?